And grew up in japan. Grandpa is a born and raised in America. 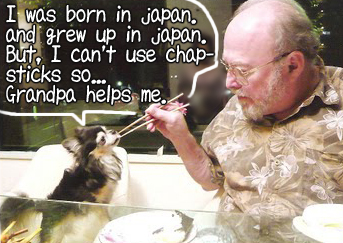 But, very good at how to hold chopsticks.